iVoomi has launched its first smartphone with a notched display, namely, the iVoomi Z1. Priced at Rs 6,999, the iVoomi Z1 goes on sale starting October 11, 2018, which is during the Flipkart Big Billion Days. Between October 11 and 14, the iVoomi Z1 will be available at a price of Rs 6,499; on top of that, customers can avail additional 10% discount using HDFC cards. 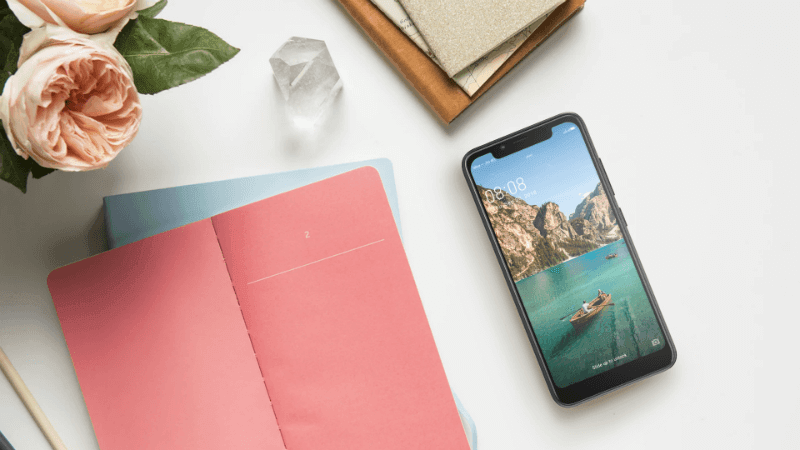 To recall, iVoomi, under its sub-brand Innelo already launched a smartphone with a notched display, but this is the company’s first product with a display notch. The iVoomi Z1 runs on Android 8.1 Oreo-based SmartMe OS 3.0 and offers Dual 4G support, thanks to the use of MediaTek MTK 6739W chipset. Considering the asking price of Rs 6,999, the iVoomi Z1 sports mediocre specifications, unlike the Realme C1 or the Xiaomi Redmi 6. The phone rocks a 5.67-inch HD+ display on the front with a 19:9 aspect ratio. For those who’re interested, there’s a notch on top of the display, and it’s worth noting the iVoomi Z1 is one of the cheapest smartphones to offer a notched display. Under the hood, the smartphone has the quad-core MediaTek MTK 6739W chipset with all the four cores clocked at 1.3GHz. The chipset comes paired with 2GB of RAM and 16GB of internal storage, which can be expanded via a microSD card slot up to 128GB. Connectivity options on this device include Dual 4G, VoLTE, Wi-Fi 802.11 b/g/n, Bluetooth, GPS and Micro USB. As for the cameras, we get a 13MP shooter on the back side with a 5P lens, IMX135 sensor and a soft LED flash. A 5MP selfie shooter is present on the front with 1.12um pixels and 4P lens. The phone runs on Android 8.1 Oreo-based SmartMe OS 3.0 and also has a fingerprint scanner placed on the rear side. Alternatively, users can unlock the phone using their face with the help of Facial Recognition feature. The phone weighs 150.7 grams and draws power from a 2800mAh battery located underneath. Like most of the iVoomi devices releasing in recent times, the iVoomi Z1 is also a Flipkart exclusive smartphone. It would be available for purchase starting October 11, 2018, and the price of the handset is Rs 6,999. However, during the Flipkart Big Billion Days, the iVoomi Z1 will be available at a special price of Rs 6,499 and buyers can additionally avail an instant discount of 10% discount HDFC Debit & Credit cards, which makes the overall price of the smartphone as Rs 5,981. On top of that, iVoomi has teamed up with telecom operator Reliance Jio to offer instant cashback of Rs 2,200 under the ‘Jio Football Offer’. The cashback will give to the users in the form of Rs 50 vouchers, but it’ll be given only with Rs 198 and Rs 299 prepaid plans. Priced at Rs 6,999, the iVoomi Z1 goes against the likes of Realme C1 and the Xiaomi Redmi 6A. The Realme C1 sports a much superior Snapdragon 450 chipset, has a bigger 6.2-inch notched display, massive 4230mAh battery, dual rear cameras and comes with ColorOS. The Redmi 6A, on the other hand, has the Helio A22 chipset, clubbed with 2GB of RAM and 32GB of internal storage. Like the iVoomi Z1, the Redmi 6A also offers Dual 4G, but it lacks a notched display on the front. The Redmi 6A boots MIUI 10 and has a slightly larger 3000mAh battery. iVoomi is doing really hard to give best specifications in a limited amount. I personally used their all mobile and I must they are performing really as per their price stack. Only issue is that they are unable to get best image like Xiaomi or Realme so most of people are not choosing this brand.